The Cheese Store on Saturday, May 7th, 2011 after many, many months of planning and visiting Cheese Stores through Canada and United States. 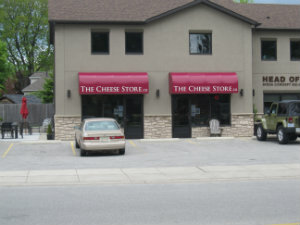 Simply put, we opened the store because we love Cheese! And based up on the fantastic response, there are plenty of cheese lovers out there, also known as Caseophiles (Caesus = Cheese, Phile =who likes).Our mission is to provide you with exceptional quality cheese and related gourmet food items from Canada and around the World!